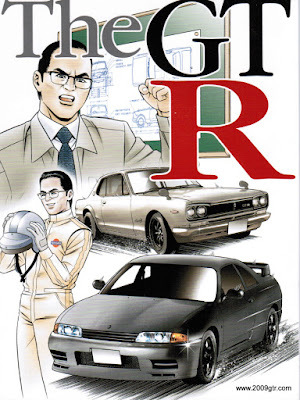 The 27th part of the history of the GT-R manga comic. 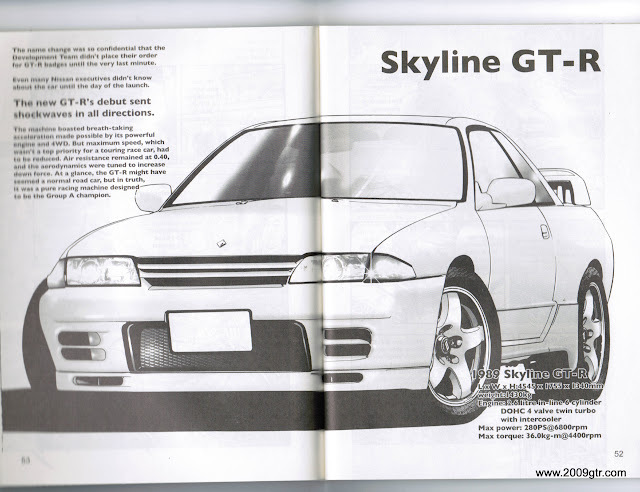 These two pages introduce the 1989 Nissan Skyline GT-R. The R32. The R32 Skyline GT-R. First introduced in 1989. 280 horspower. Inline 6 cylinder engine known as the RB26DETT, or simply the RB26. 2.6 liters (actually 2568 cc). All wheel drive, known as ATTESA. Designed to run in Group A, eventually to be the dominating force in the series.